As you can see in the post Perching on the Pipes, there are numerous examples of trombone sculptures on organ pipes. Here is another example, below. I will be adding it to the Trombone History Timeline (17th century—first half). 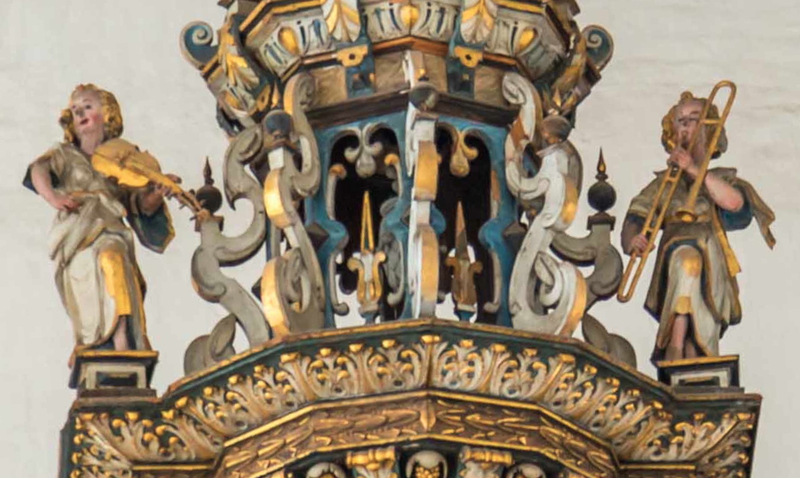 1625-29—Gdansk (Danzig), Poland: An organ case by Merten Friese at St. John’s church includes a trombonist atop the structure. 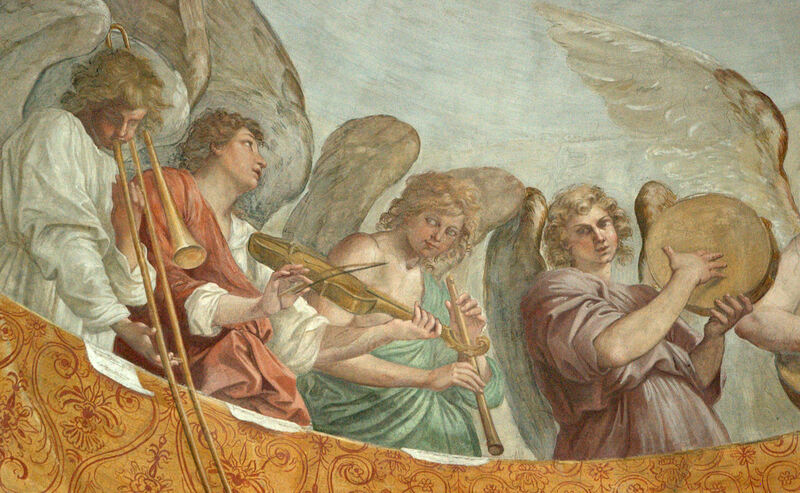 The case (including the trombonist) is later moved to St. Mary’s church in the same city (see below detail; click to expand; public domain image).